Mexican-inspired food giant, Taco Bell, is trialing a dedicated vegetarian menu in nearly 200 of its Texas stores in Dallas. The new menu features the Vegetarian Crunchwrap Supreme ( $3.70), the Vegetarian Quesarito ($3.05), and the 7-Layer Burrito ($3.22) - all of which can be modified for vegans. Making use of the green 'V' symbol, the new menu also shows consumers the items which have been certified by the American Vegetarian Association (AVA). 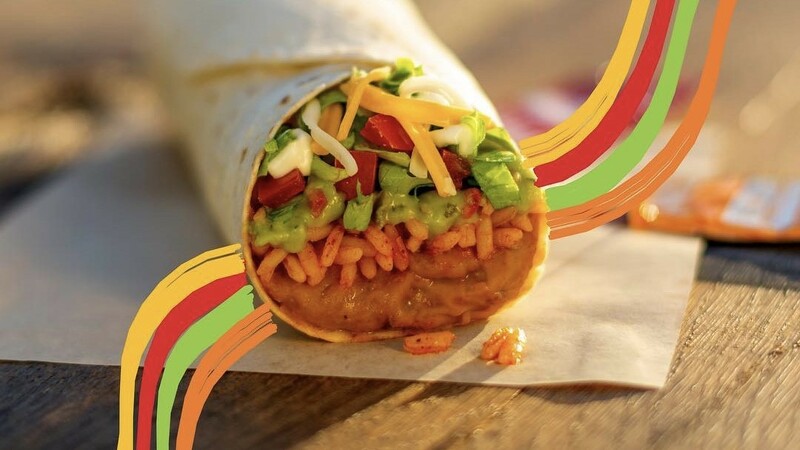 It's reported that Taco Bell will test the veggie menu for a couple of months and use feedback to make any necessary alterations before launching it nationwide. According to Nation's Restaurant News, the company's global chief food innovation officer, Liz Matthews, said the brand: "Knows today's consumers are looking for different choices." However, Matthews added: "Don't worry, we’re not turning our back on meat." It is estimated that nine percent of all items ordered at Taco Bell are vegetarian, with the bean burrito being the second most ordered item on the overall menu. Prior to the new menu, the chain still offered a variety of meatless options that could be made vegan. Its website states: "Our vegetarian selection includes 13 menu items that are totally customizable with a variety of sauces, delicious upgrades, and more popular add-ons. "Taco Bell's Mexican-inspired vegetarian menu includes options with vegan refried beans or black beans so that you can still get your protein fill."